Korkean suorituskyvyn kuivaajia teollisuuden ja kaupanalan käyttöön. Suunniteltu tarkoituksiin, jossa kosteutta on valvottava tarkasti tai vesihöyryn tiivistyminen estettävä. Hidroksen nykyaikaiset ilmankuivaimet omaavat korkean suorituskyvyn, loistavan energiatehokkuuden sekä alhaisen kastepisteen. Alhaisen kastepisteen ilmankuivaajat teollisuutta varten. Korkea suorituskyky ja energiatehokkuus. Laitteet on suunniteltu kosteuden hallintaan kaikissa teollisissa prosesseissa, joissa kastepiste on vakio ja alle 0° C (yksiköt pystyvät suoriutumaan -5 ° C kastepisteestä). HDA dehumidiﬁers series are high-performances units espe-cially designed for industrial or commercial purposes where humidity level should be controlled or water vapor condensa-tion should be prevented. These units are particularly indicat-ed for archives, ironing rooms, bookstores, cheese factories, underground rooms, cellars and industrial sites where high humidity level is present. This series comprises 5 models which cover a capacity range from 73 to 240 l/24h. HDA units are designed for easy maintenance and service, each part being readily accessible and, when required, easily replaceable thus reducing service and maintenance costs. The units are supplied with a solenoid valves set for the hot ga s injection used to defrost the evaporator in case of severe working conditions. ITM dehumidifiers series are high-performances units especially designed for industrial or commercial purposes where humidity level should be controlled or water vapour condensation should be prevented. These units are particularly indicated for archives, ironing rooms, bookstores, cheese factories, underground rooms, cellars and industrial sites where high humidity level is present. This series comprises 2 basic models which cover a capacity range from 330 to 415 l/24h. ITM units are designed for easy maintenance and service, each part being readily accessible and, when required, easily replaceable thus reducing service and maintenance costs. FL dehumidifiers series are high-performances units especially designed for industrial or commercial purposes where humidity level should be controlled or water vapour condensation should be prevented. These units are particularly indicated for archives, ironing rooms, bookstores, cheese factories, underground rooms, cellars and industrial sites where high humidity level is present. This series comprises 3 basic models which cover a capacity range from 564 to 940 l/24h. 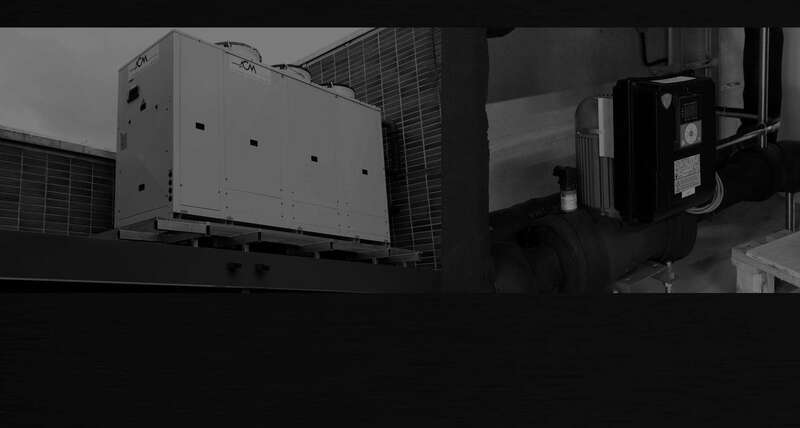 FL units are designed for easy maintenance and service, each part being readily accessible and, when required, easily replaceable thus reducing service and maintenance costs. Laadukas sarja matalan lämpötilan ilmankuivaajia. Suunniteltu erityisesti kylmähuoneisiin, joissa kosteusprosenttia on valvottava tuotteen varastoinnin ajan. Jokainen osa on helposti saatavilla ja tarvittaessa helposti vaihdettavissa vähentäen näin ylläpito- ja huoltokustannuksia. ITMBT low temperature dehumidifiers series are high-performances units especially designed for low temperature cold rooms rooms where the humidity level should be controlled during product storage treatment. This series comprises 2 model which cover a capacity range from 155 to 190 l/24h. ITMBT units are designed for easy maintenance and service, each part being readily accessible and, when required, easily replaceable thus reducing service and maintenance costs. All units are supplied with hot gas defrost system and antifreeze heater on condensate drip tray, they are fully assembled and wired at the factory. FLBT low temperature dehumidifiers series are high-performances units especially designed for low temperature cold rooms rooms where the humidity level should be controlled during product storage treatment. FLBT units are designed for easy maintenance and service, each part being readily accessible and, when required, easily replaceable thus reducing service and maintenance costs. All units are supplied with hot gas defrost system and antifreeze heater on condensate drip tray, they are fully assembled and wired at the factory.